The silver fir originates from the Pacific Northwest. 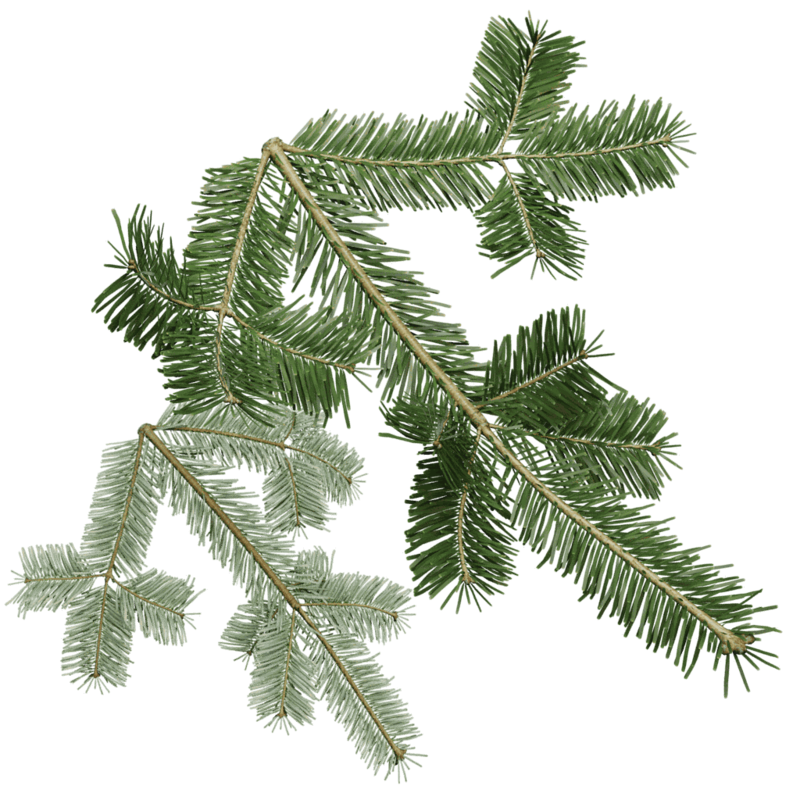 Fir trees are the furry part of the spruce family. Instead of spiky tips, the leaves (needles) are rounded and soft to the touch. And they are quite numerous too, this twig has over 2000 leaves! They weight down the branches considerably. The top side is an intense glossy green, while the bottom is exceptionally silvery white.